By now, most of you have already heard that Red Sox great, Hall of Fame catcher Carlton Fisk was arrested on charges of driving under the influence. He was found asleep behind the wheel in the middle of a cornfield. There was an open bottle of Vodka on the floor of his vehicle. Fisk was brought to the hospital and released from custody the next morning after posting bail. 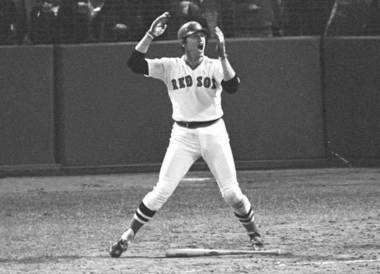 During his 24 year playing career, Carlton Fisk is most remembered for running down the line, waving his home run fair during the 1975 World Series. 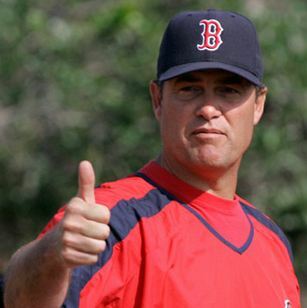 John Farrell was officially introduced as the 46th manager of the Boston Red Sox today at noon. Everyone down the line from Owners, Chairmen, General Manager, and even former and current players were on board to congratulate Farrell. Most of them even stood up to say a few words about him and everyone spoke so highly of him. With much praise about his leadership skills and intelligence all around the game of baseball, it is no wonder why the Sox made this choice so quickly, as soon as they were given permission to speak to him from the Toronto Blue Jays.